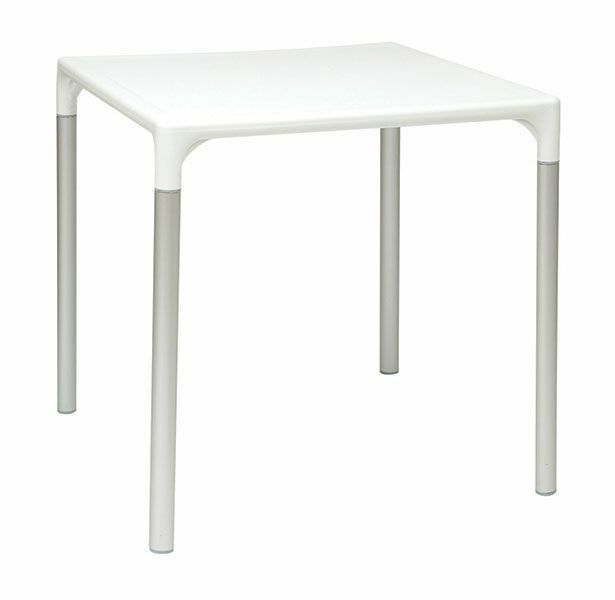 Ever popular Mango table with a heavy duty thermoplastic top and Silver legs. Stackable for convenience and available from stock with a White tops only. Easy to erect and store. 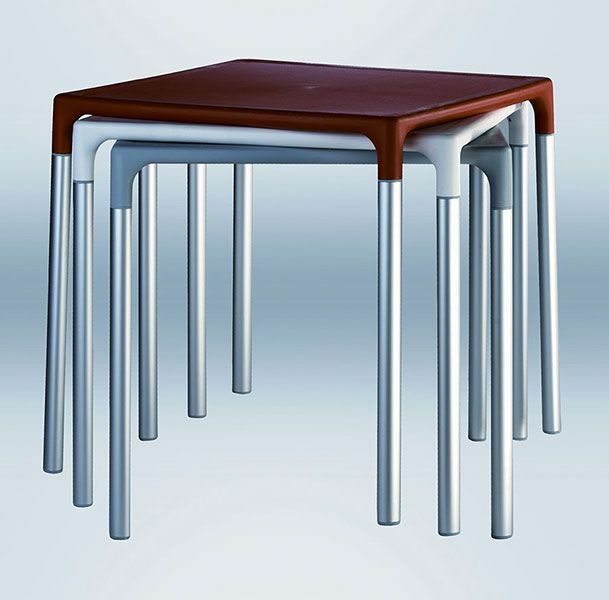 Mango café tables have a thermoplastic top and silver anodized Frame and are suitable for external all weather use. 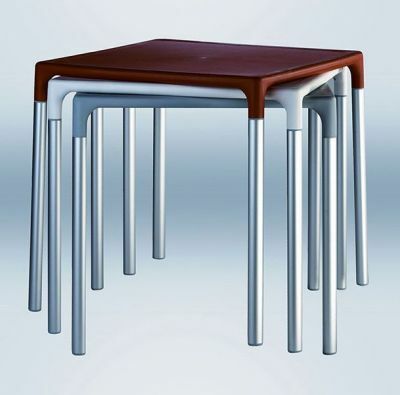 Popular with trendy eateries and outdoor spaces.